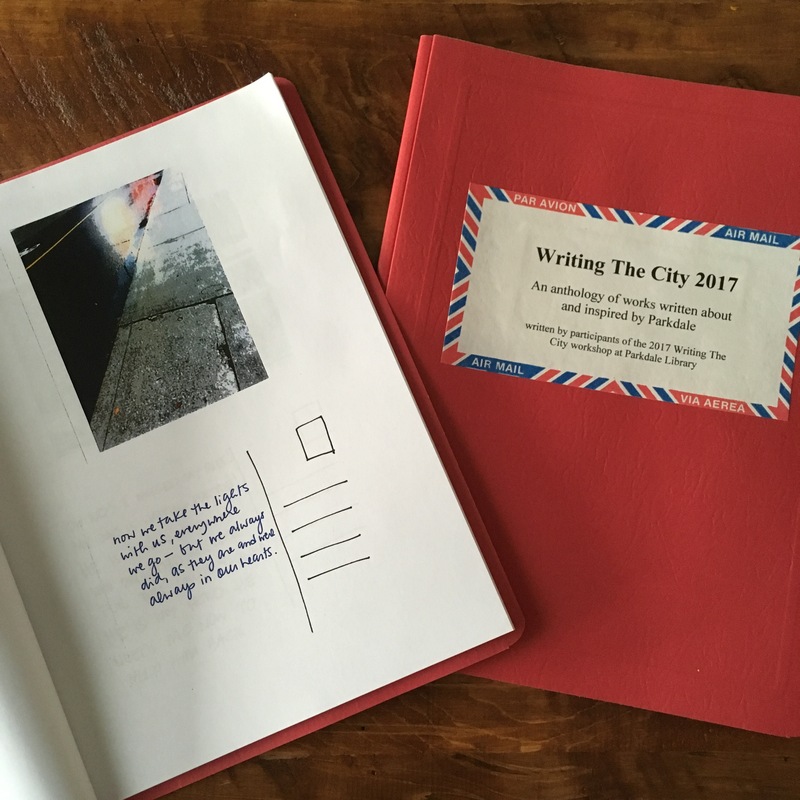 It’s no secret that I had THE BEST time leading a place-based creative writing workshop at Parkdale Library last fall. I loved every second of it. 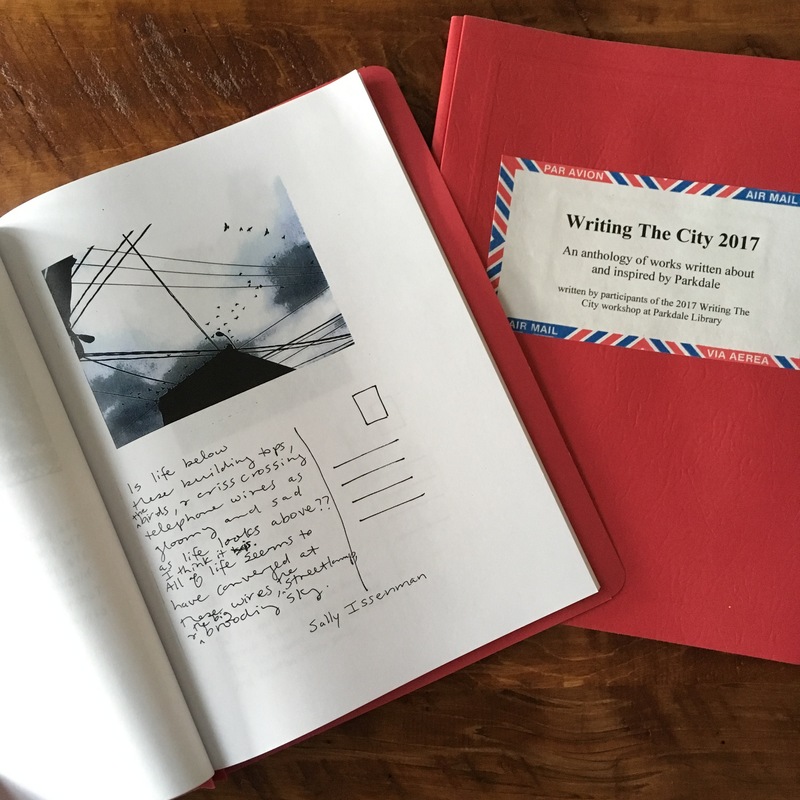 And I’m so thrilled to announce that by the end of February, you too can read some of the incredible work created by “Writing The City” participants! 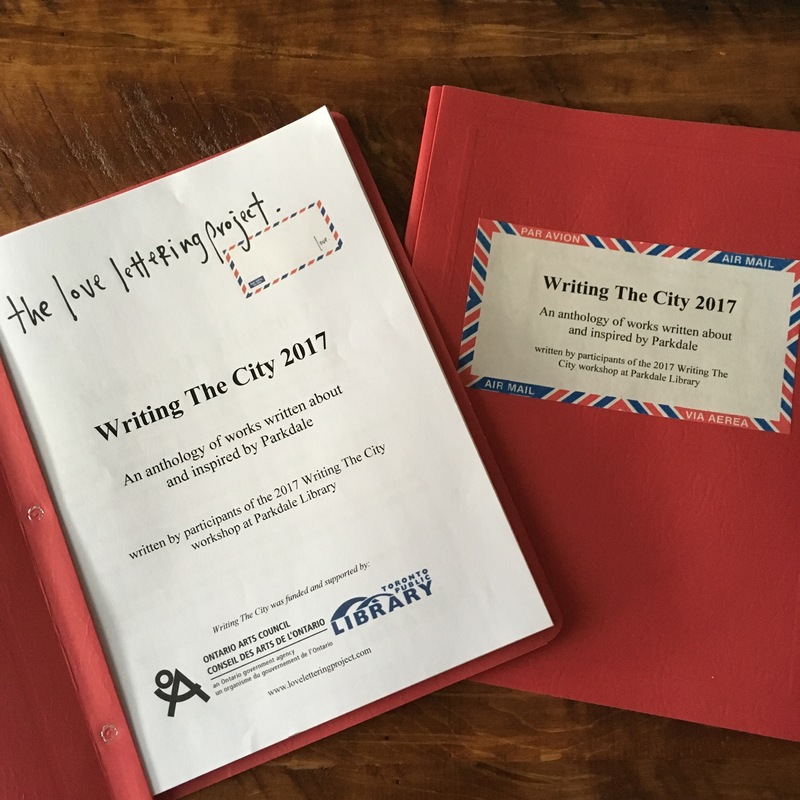 The biggest and most grateful thank you to all the brave, inspired writers who contributed work. This is truly an exceptional record of Parkdale in the fall of 2017.